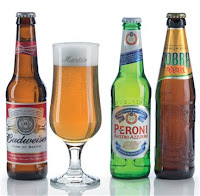 Dads can be notoriously difficult to buy for. They’re much less sentimental than their female counterparts and rarely show much interest in receiving gifts. However, just because they don’t seem overly bothered by Father’s day, doesn’t mean you should go out and buy a clichéd gift, like a gift voucher, sweets or heaven forbid, socks! This year, get your father a truly special and unique gift from the 24ace personalised gift range. These gifts are more personal, thoughtful and loving than standard gifts, and are guaranteed to be cherished by your father for years to come. 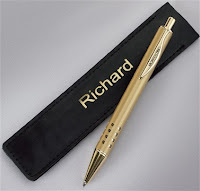 And remember, our personalisation service is completely free! 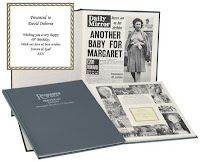 This personalised book features a front page newspaper reprint from the recipient’s date of birth and then every birthday thereafter. Opposite each front page reprint is a blank page that the recipient can fill with photos and messages that relate to that year. Includes name (22 characters) and message (150 characters) on title page. The date (dd/mm/yy) is also required. Reminisce about the events of your favourite decade, as reported in the Daily Mirror at the time. These fascinating scrapbook style books are finished in smart shiny black soft back covers. 70 pages + in each book. Choose from 5 decades 30s, 40s, 50s, 60s or 70s. 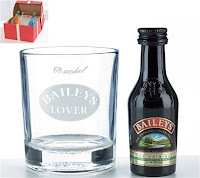 Whatever your dad’s favourite tipple is, be it Baileys, lager, Guinness or wine, you’re sure to find a personalised alcohol set to put a smile on his face at Ace. Included in the set are 1 or more bottles of alcohol plus a stylish glass, which can be personalised with a name of up to 11 letters. 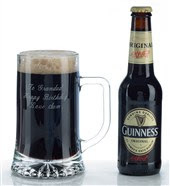 Some sets, such as the Guinness set, permit you to add a short message to the glass as well. With a personalised gent’s leather wallet, you’ll always be in your father’s thoughts when he draws out money or goes to pay for something. 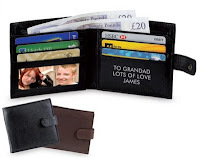 To make the wallet extra personal, consider placing a photograph of yourself or the family in the designated photo slot. Our £3.99 wallets can be personalised with a 3 line with up to 18 letters per line (including spaces.) 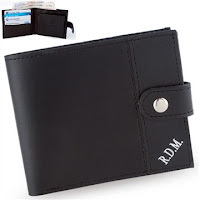 Our £9.99 wallets can be personalised with up to 3 initials. 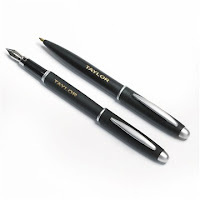 If your dad is a bit old fashioned and still prefers writing letters and notes using pen and paper, then consider buying him a personalised pen set. 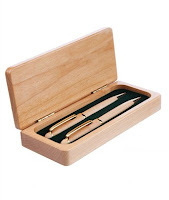 They make special gifts that can be used for a lifetime, plus, with a name on either the box or the pen, they’re much less likely to be stolen! Top 3 Tablets For Kids! Autumn Winter Book: The Highlights!